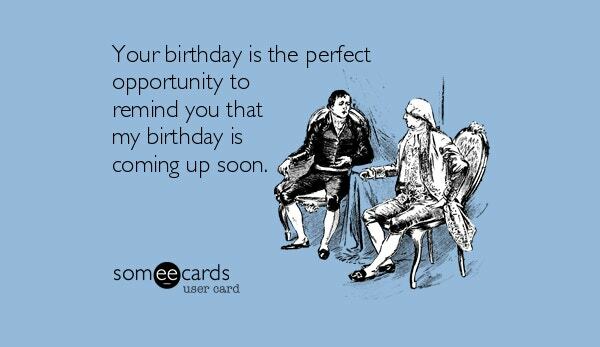 Birthdays are annual events and so you should make the best of these days. You might receive Birthday Cards from your friends but you also need to invite and thank them for appearing on your special day. 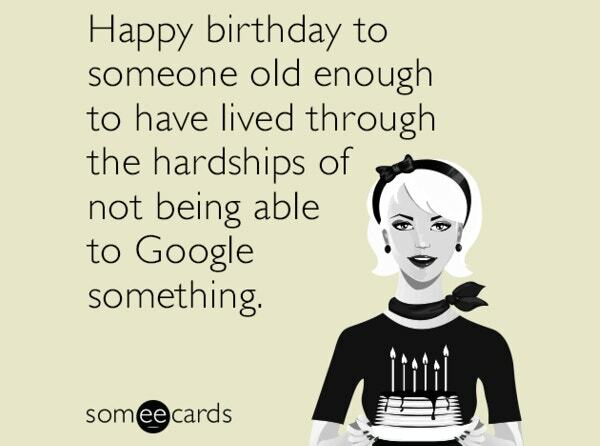 Funny happy birthday cards are affordable and attractive. You can always modify them to suit your event. 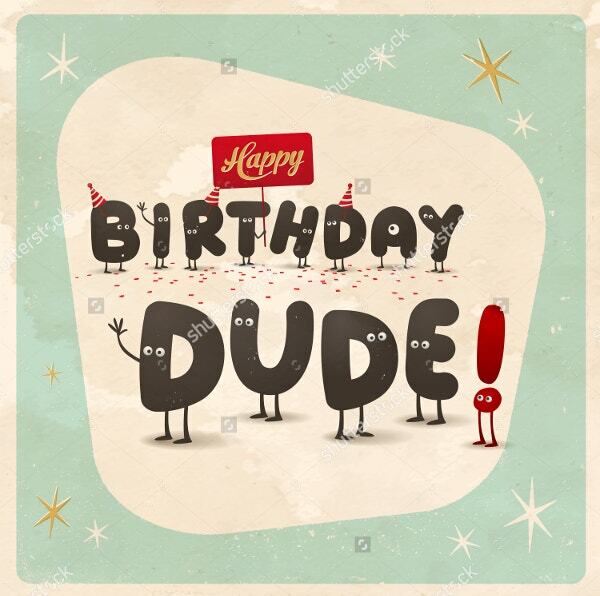 You can edit and eliminate the grunge effects of the vintage style funny birthday card for new signs. Its customizable design is idyllic for posters, greeting cards & brochures. The original design contains vector illustrations. 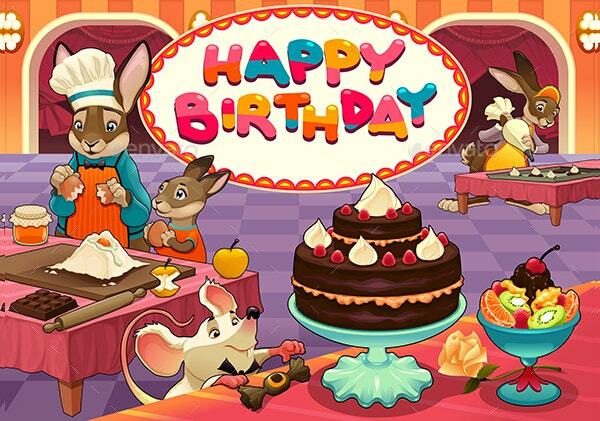 This brilliantly designed happy birthday card contains vector illustrations of pastry chef animals. It has layered JPG images, vector EPS and Photoshop PSD graphics that are editable using Adobe CS. 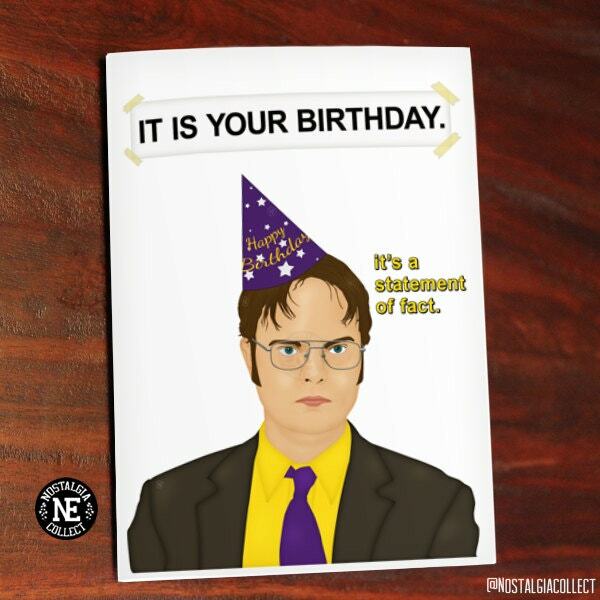 You may also see Birthday Card Design Templates. The digital file of this Printable Funny Birthday Card comes with fold & cut lines, and single color PDF & JPG card measuring 4 X 5.5 inches. It is downloadable, print-ready, editable and customizable. 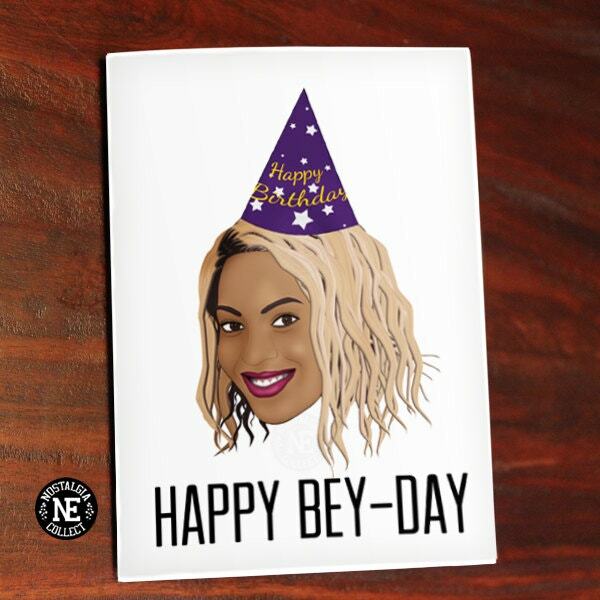 Wish your girlfriend a funny birthday with this print-ready card on matte paper featuring a smiling girl. You can add your images and texts inside its empty yet modifiable page. 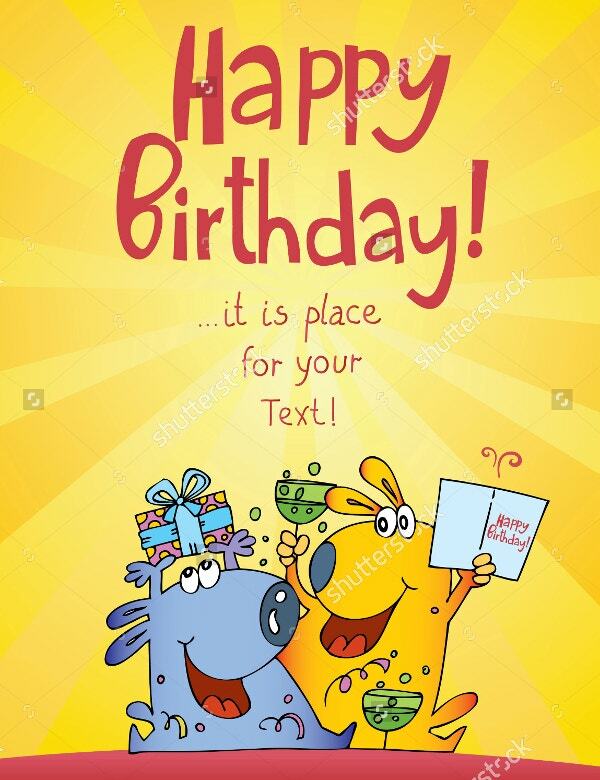 The funny cartoon birthday card features comic musician animals in a clean green background. Its layered vector illustrations are editable with Adobe CS. It contains Vector EPS, Photoshop PSD, and JPG image graphic files. 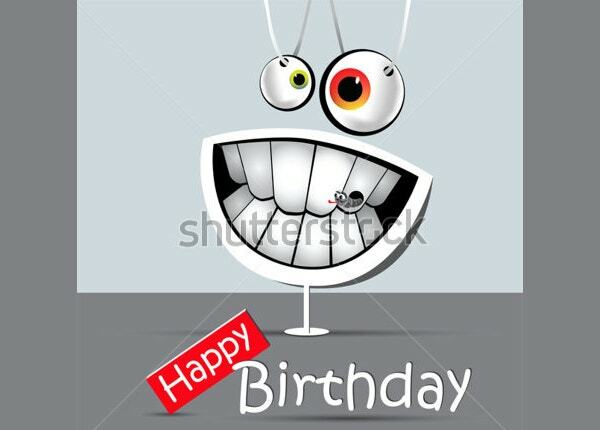 The happy birthday funny card with a smile comes at high resolution and diverse sizes. It is editable and customizable using Shutterstock editor. The pretty placard featuring adorable vector pattern suits children’s events. The funny happy birthday printable card comes with downloadable PDF & JPG files and a monochrome card design. You can edit, customize and personalize the template that is printable on Kraft paper. 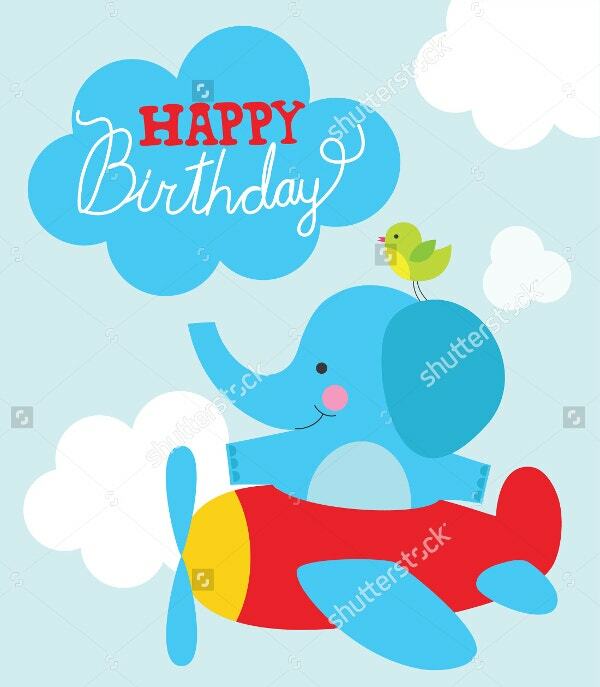 Edit and customize the vector illustrations, images, colors and texts of this funny characters birthday card using Shutterstock editor. It is available in many sizes and high resolution for download. 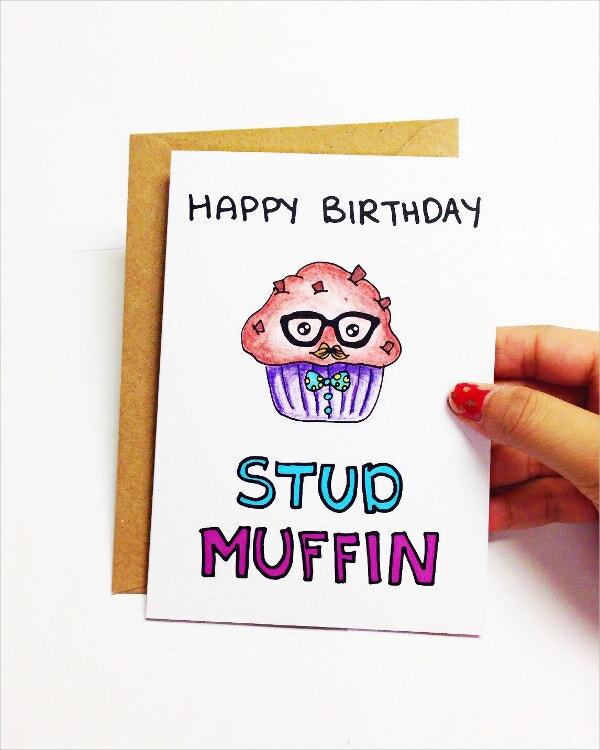 Gift your husband, boyfriend or son with the funny birthday card that features pun and muffin. The empty hand drawn card has been designed using pencil crayons and it allows you to add your sentiments. 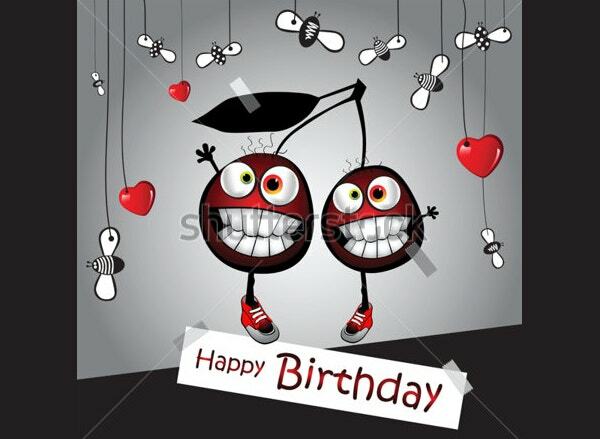 The design of happy birthday funny card with cherry is ideal for greetings, invitations, and postcards. It features elegant childhood sketches of a smile, heart, kids and vector art on a patterned background. 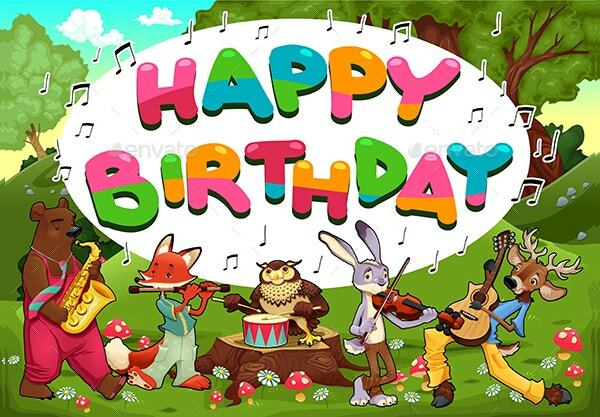 The cute cartoon animals happy birthday card features birds, hippopotamus, owls and mongoose among other safari animals. It has been designed on a clean and clear background with colorful flowers and woodland. 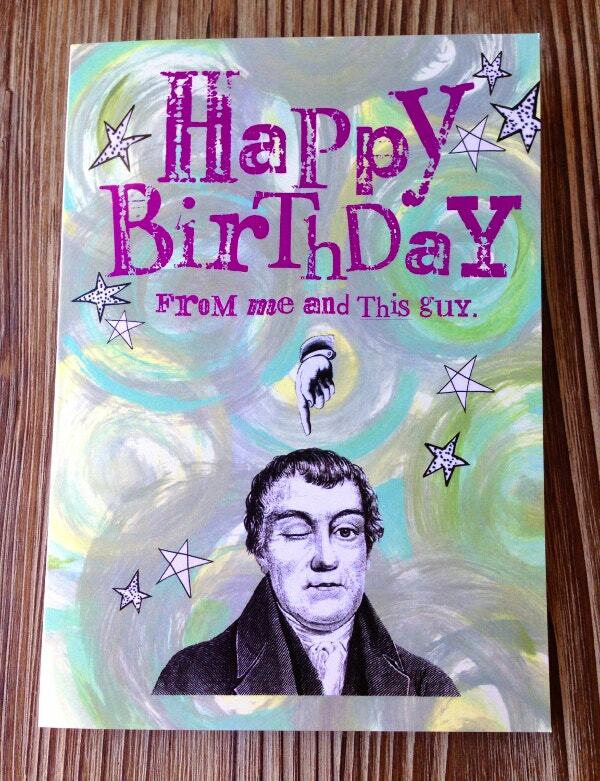 This handmade Funny Happy Birthday Card for a Friend measuring 5 X 7 inches is blank inside enabling you to add desirable elements. 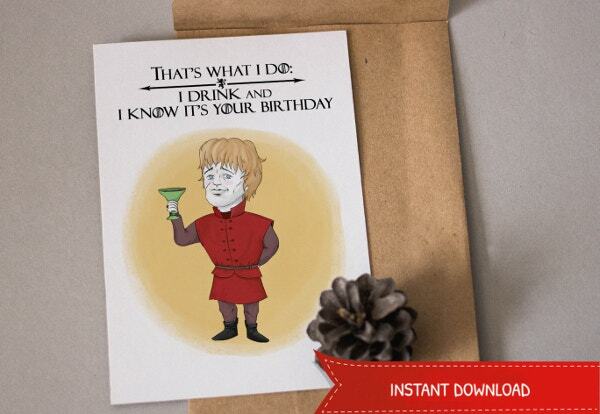 This printable & customizable card comes in a cello bag. 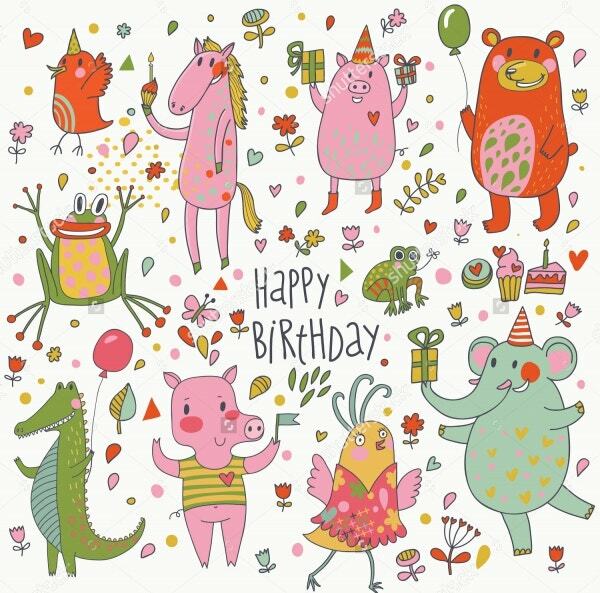 The Funny Cartoon Vector Set Birthday Card contains vector illustrations of a frog, pig, horse, elephant, crocodile, flowers, leaves, a heart, etc. It is editable and customizable at high resolution. 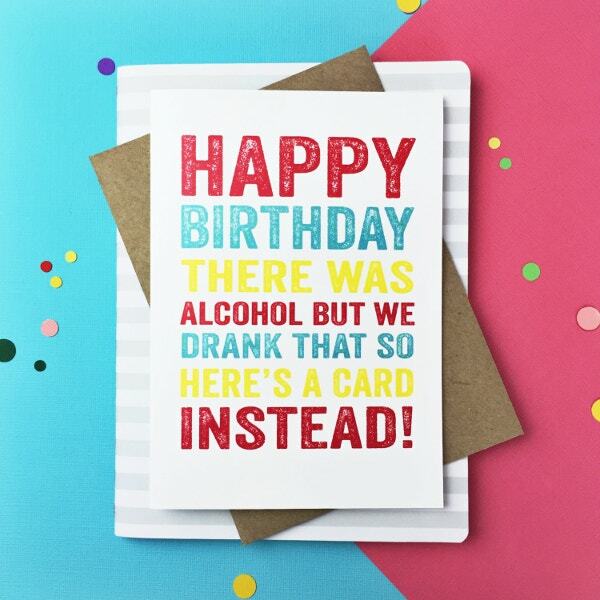 The Funny Alcohol Happy Birthday Card for digital printing serves as a thank you and greetings card. 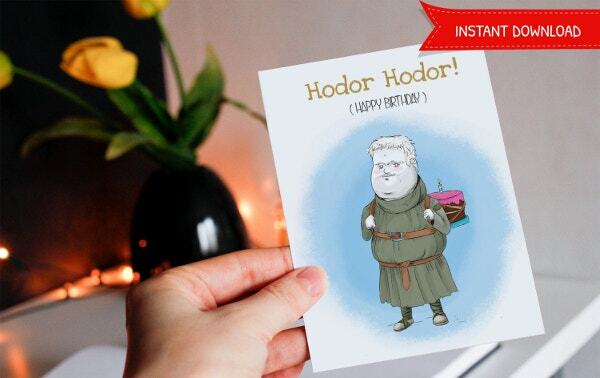 The humorous card measuring 17 by 12-cm comes with a Kraft envelope and is blank inside. 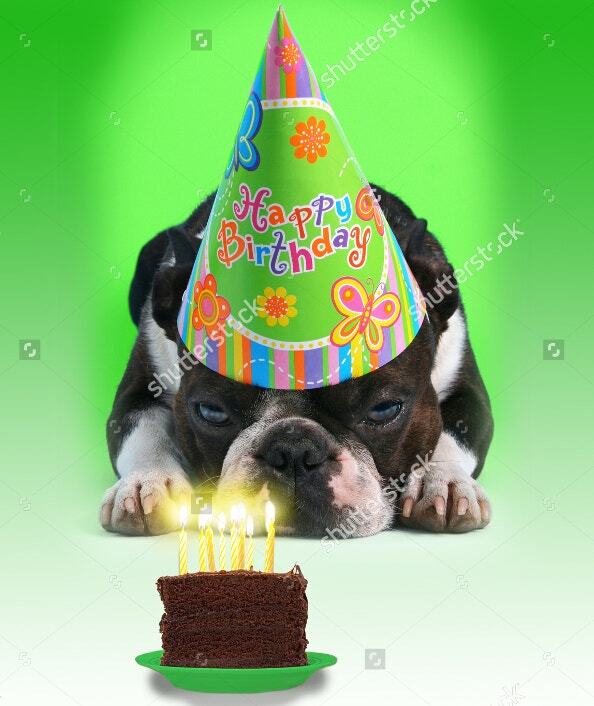 Use Shutterstock editor to customize and personalize this Funny Happy Birthday Card with a Dog that prides in high resolution and multiplicity of sizes. 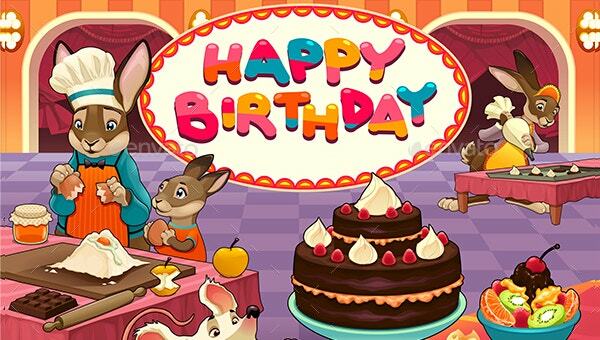 It features a cake with candles on a clean, green patterned background. In conclusion, you should not strain to design birthday cards for your friends or family when diverse Card Templates exist online. While some of them are available free of cost, you might have to spend a minimal amount to obtain others. They are professionally designed, affordable and easy to customize.